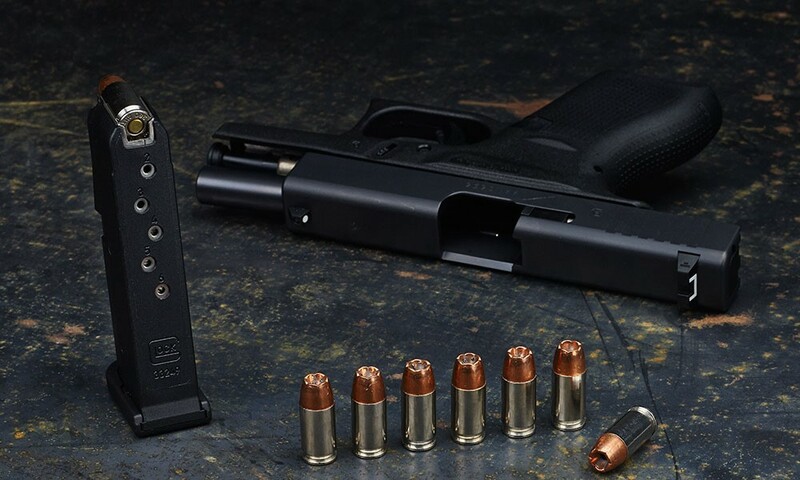 Semi-auto pistols are more popular than ever in today’s firearm industry. People absolutely love their __________ [Insert Your Favorite Brand Name Here]. I’m not going to open up a can of worms over what semi-auto brand is the best, whether you believe it’s Smith & Wesson, Glock, Springfield or so on. What a lot of people are overlooking though is the reliability, endurance, and simplicity of the revolver. What makes most people shy away from revolvers nowadays is the fact that semi-auto pistols are displayed in the media more. Whether it’s in a movie showing a good guy laying justice down on some bad guys, or more poorly publicized on the evening news in the coverage of a crime, we just plain see semi-auto pistols more. Revolvers, when considered at all, are thought of by most people as being old or outdated. Let me be the first to tell you, revolvers are timeless and cool as hell! 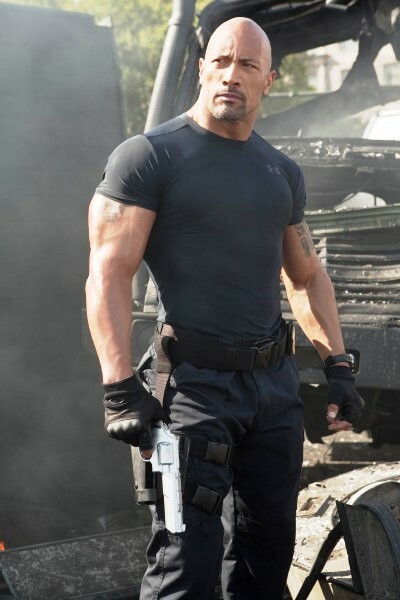 For our younger readers, its difficult to argue that Dwayne Johnson isn’t a complete badass when he’s carrying his 629 Competitor, or for our older readers that Clint Eastwood isn’t the epitome of cool with his Model 29, “the most powerful handgun in the world” at the time. There are pros and cons to carrying a revolver just like there are positives and negatives to carrying a semi-auto pistol. 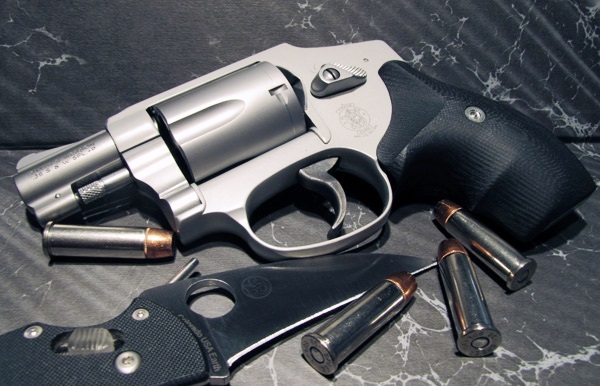 Let’s take a look at some of the most commonly encountered pros and cons to choosing a revolver for your everyday carry (EDC). So let’s address the cons first. Probably the biggest deterrent for people is the low round count. My counterargument to this is how many rounds do you think you’ll need to defend yourself? I mean realistically… Most attorneys or law enforcement officials will tell you that if you’re in a self-defense situation and need to use your firearm to defend yourself, most altercations will end in the first 1-3 rounds fired. If you think you need a Glock 17 9mm because you NEED to be carrying 17 rounds, then you are just unattached with reality. It’s a luxury and a placebo effect in your mind to have 17 rounds available to you. No one NEEDS 17 rounds on a daily basis, they just like to have 17 rounds for their own mental comfort. Another complaint to choosing a revolver as your EDC is the cost of ammunition, but let’s examine that closer. Yes, your range ammo or plinking ammo does generally cost more when comparing revolver calibers to semi-auto calibers. Revolver calibers for boxes of 50 Full-Metal Jacket (FMJ) ballpark as such: .38 SPL is $23-$25, .357 Mag is $24-$26, and .44 Mag is $35-$40. Semi-auto calibers in FMJ typically land here: 9mm is $12-$15, .40 S&W is $18-$20, and .45 ACP is $19-$25. To be more realistic though, most of us do not shoot our EDC on a consistent basis. It’s our carry handgun. Most of us have separate handguns dedicated to recreational and fun shooting at the range. So then, let’s compare hollow-points (HP) across these same calibers because that’s the ammo we will most often be using or more realistically buying for ourselves. Revolver calibers for a box of 25 HP are here: .38 SPL is $16-$17, .357 Mag is $18-$19, and .44 Mag is $20-$21. Semi-auto calibers for 25 HP are here: 9mm is $16-$17, .40 S&W is $18-$19, and .45 ACP is $19-$22. Now that we look at HP ammo, there really is no price discrepancy at all. 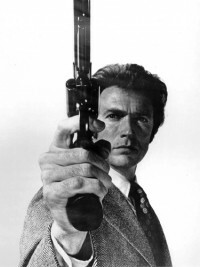 The last three cons of difficult recoil, reloading, and heavier trigger pull (if shooting a double-action revolver) can all be overcome through the same answer: more training. These three problems can likewise be found in any semi-auto pistol, but people somehow fear them more when presented in the form of a revolver. If recoil bothers you, you can often alleviate that issue through changing how you grip the firearm, changing the grip on the firearm, or by buying tamer or more dialed-back ammo. If reloading seems awkward for revolvers, you can easily purchase a speedloader and train with that to become more proficient. Some people unknowingly assume revolvers don’t have speedloaders available to them, but they do, just like semi-auto pistols. Finally, if the trigger pull on a revolver is causing you trouble, that can be corrected through more practice and getting more familiarized with how it moves, actuates, and breaks leading up to the firearm firing. If after diligent practice this still seems to be a point of frustration, you can then get it lightened and shortened by a competent gunsmith or switch to a single-action revolver, where the trigger pull will always be short and clean. A lot of firearm enthusiasts in recent years have, frankly, become lazy. If you want to be good at archery, you practice. Be a good golfer?… You practice. Be a proficient firearm owner?… You buy one box of ammo, only shoot half of that box, leave your firearm in storage, and when it’s summoned out of storage for a rare range day with friends you’re appalled that you don’t shoot well? !… You see the problem. You need to take a more proactive role in owning your firearms, all of them and be proficient with them. If the need to defend your life or the lives of your loved ones or anyone else should ever arise, your command of your firearm should be instinctual, not clumsy and hesitant. So in sum, most of the cons to revolvers are barriers we can easily get past through training or are really not barriers at all. I believe all the pros to choosing a revolver as your EDC speak for themselves. Simple, strong, intuitive and powerful are all great descriptions of any revolver you might choose. They’ve been around for over 100 years and our military and law enforcement have been advocates for them for almost that same amount of time. I personally own far more revolvers than semi-auto pistols. Those words pretty much nail the issue on the head. So the next time you’re browsing the shelves at The Guns and Gear Store or your local gun shop, give a revolver a try. You might surprise yourself with how enjoyable and great of a firearm they really are. the only reason i switched from a revolver to a semi auto was capacity.